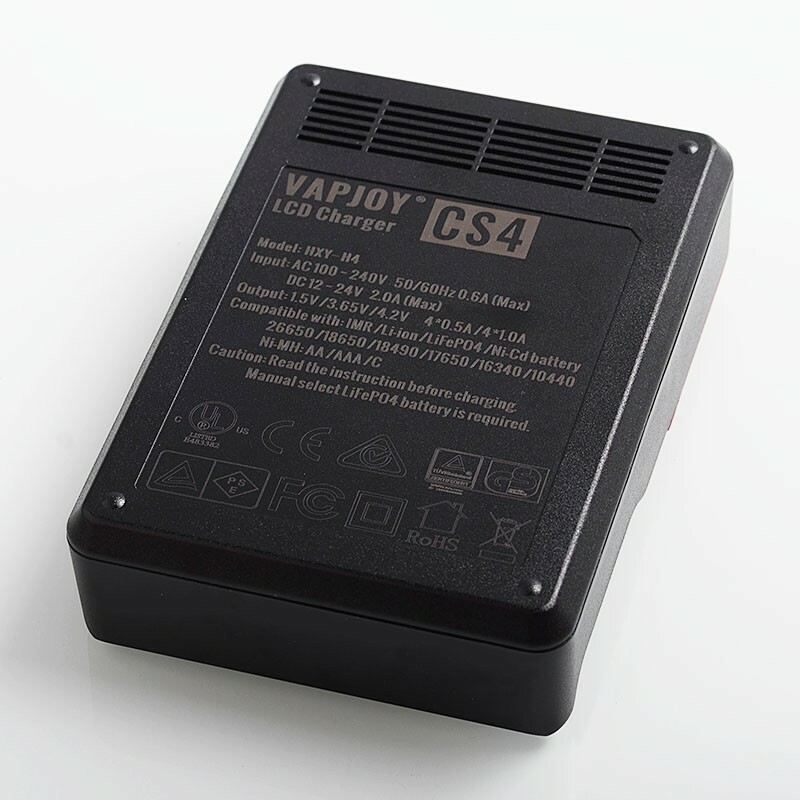 The authentic Vapjoy CS4 Charger is an intelligent charger that is compatible with IMR / Li-ion / LiFePO4 / Ni-MH / Ni-Cd batteries. 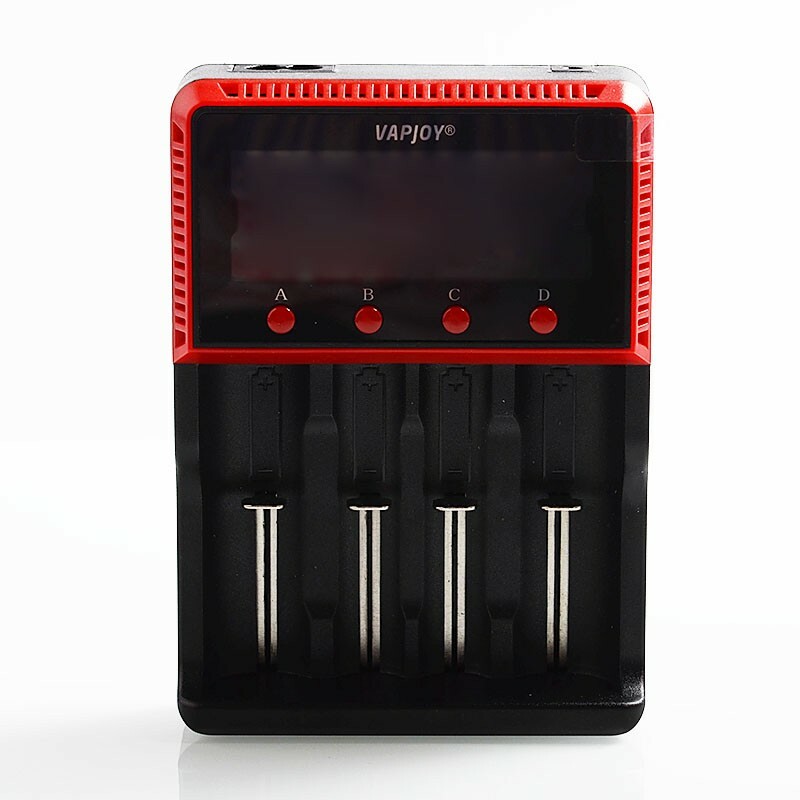 It has a LCD screen which displays each cell of voltage, charging current, charging time, battery type. 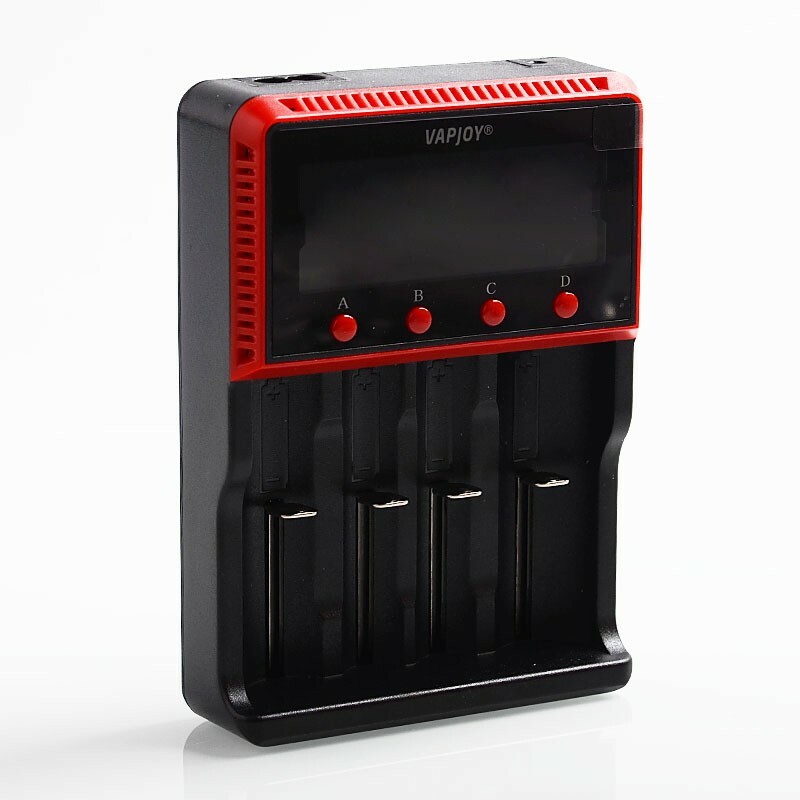 Each of four battery slots monitors and charges independently. After charging over 8 hours, it will stop automatically to ensure safety. This charger comes with US Plug. 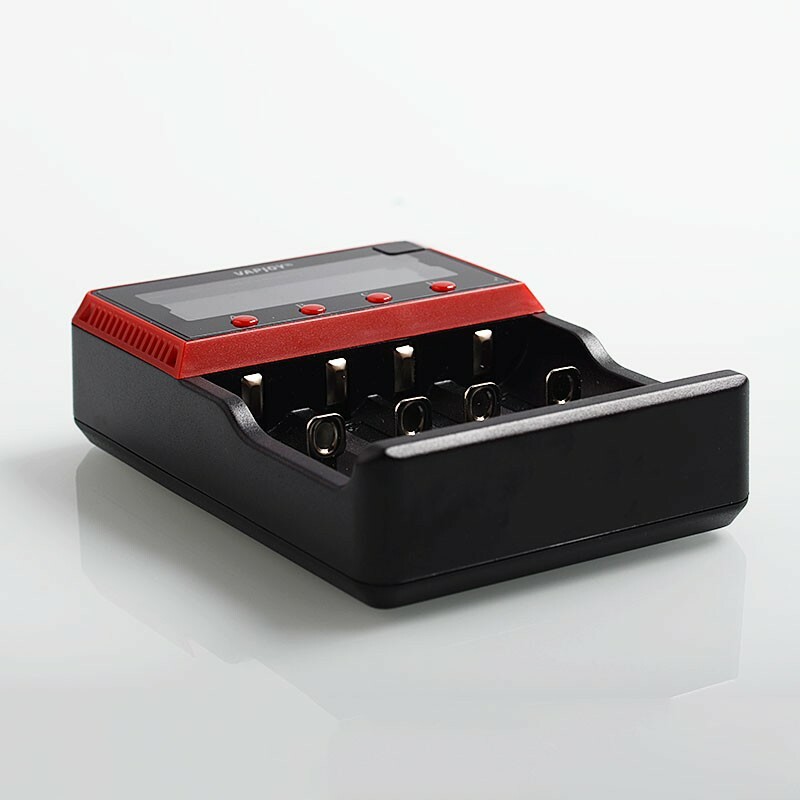 Compatible with IMR / Li-ion / LiFePO4 / Ni-MH / Ni-Cd. Support 500mA current and 1000mA current charging rate. Compliant standards: TUV GS PSE FCC CE C-TICK CB ROHS. Each of four battery slots monitors and charges independently. Charging over 8 hours will stop automatically to ensure safety. 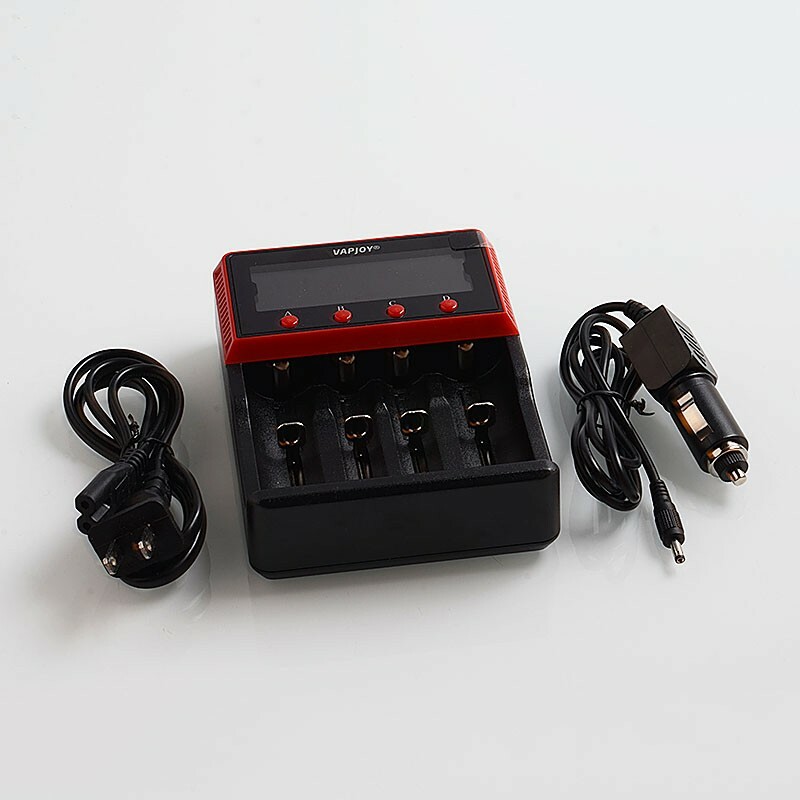 Support both AC/DC with wide power source supply, apply in vehicle. 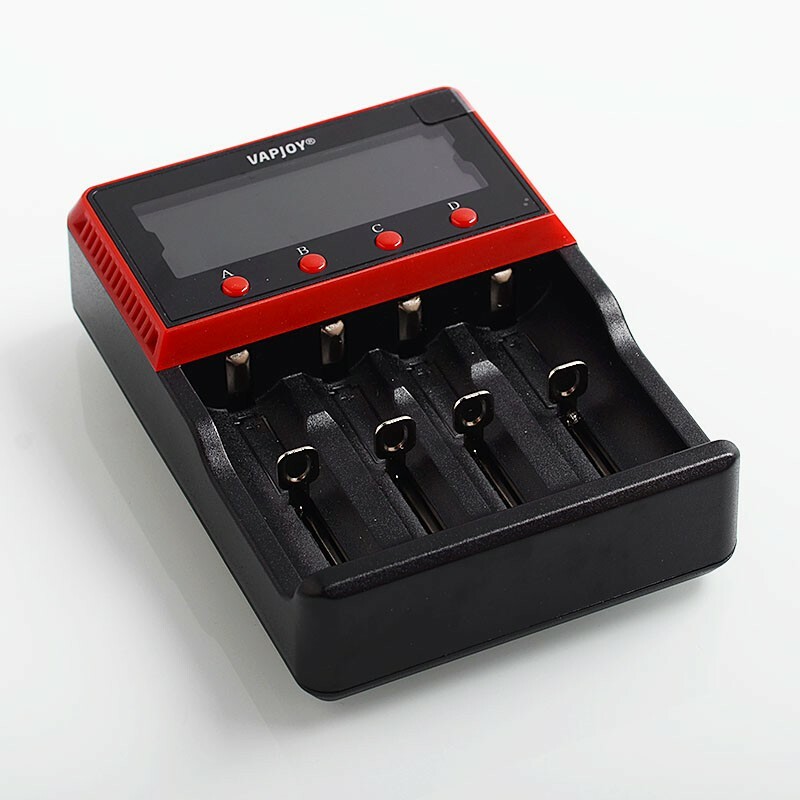 Automatically identify Li-ion /Ni-MH /Ni-Cd, manual select LiFePO4 battery. 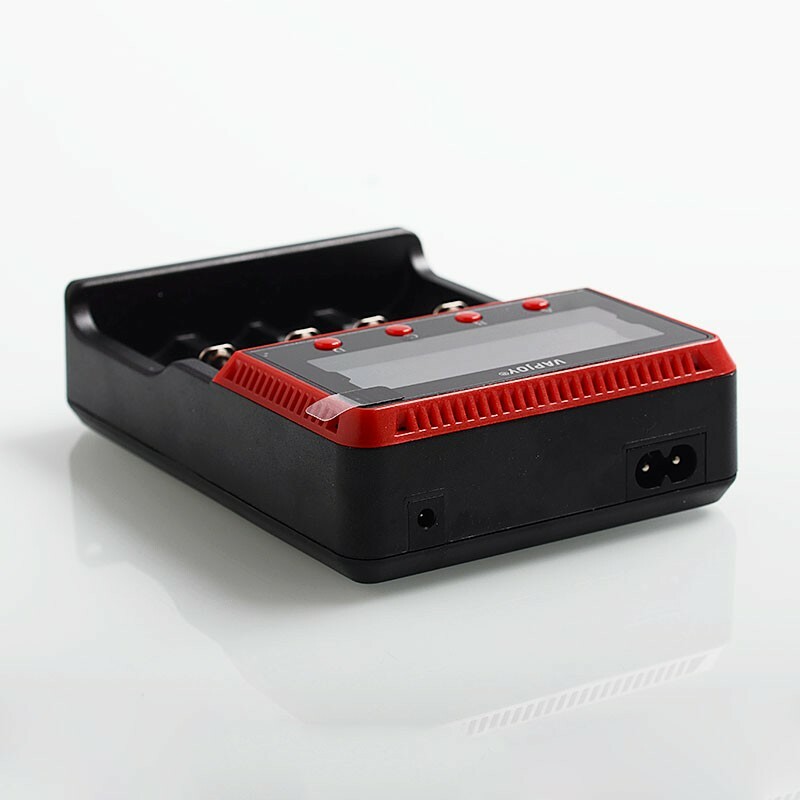 LCD displays each cell of voltage, charging current, charging time, battery type. Low current activation protects the battery from over-discharged and low battery voltage. Enhanced protection against short circuiting, over current, over charging and wrong polarity direction.